You may not recognize her name, but does Girl of the Limberlost or Freckles help at all? Both were best-sellers in their day and made into movies, albeit older ones, along with three of her other titles. In fact, she was one of the first women to form a studio and movie production company, Gene Stratton Porter, Inc. Her books are set in Indiana, and several of them portray the Limberlost Swamp, a beautiful, treed wetland where flora and fauna abound. At one time, her books were estimated to have over 50 million readers. She used the money she made to help protect and support the Limberlost Conservation movement, a cause dear to her heart. which she kept for her writing. (Taken from Wikipedia)...Stratton-Porter's novel Laddie corresponds in many particulars with her early life, and Gene herself described this as the most auto-biographical novel. For example, the narrative takes place in the first person, with the story being related by the twelfth child of the "Stanton" family. The name of the beloved older brother (title character) "Laddie" is identical with Stratton-Porter's own treasured brother who died in an accident when she was young. As in Stratton-Porter's own family, the novelized Laddie is connected with the land and identifies with their father's vocation. Despite not finishing high school, Gene became an avid reader and lifelong scholar of ecology and wildlife. I read the books when I was an older teen and continued on reading all of her novels, and I own most of them in first edition, some with dust jackets. I started collecting them as a young adult, and rejoiced with glee whenever I'd stumble across an old volume in a dusty bookstore. Porter also wrote a number of nature books, illustrating them herself, along with poetry and other books. Along with her writing, Porter became a wildlife photographer, specializing in the birds and moths of the Limberlost Swamp. Her author style and voice are not what we've come to expect today. Like the author I mentioned last month, Harold Bell Wright, Porter has a unique flavor, and it's one I grew to love. Her vivid descriptions of the Limberlost are exquisite, and the time period, the early 1900s, is an era I love. Some of the books portray a narrator's voice who tells the story as though seeing it happen from afar. I had to get used to that, but once I did, I truly enjoyed it, and I loved the rich characterizations and the story lines of a simpler life and time period. Gene Stratton-Porter incorporated every day occurrences and acquaintances into her works of fiction. Many of her works delve into difficult subject matter that was timely and her writing reflected sentiments of the day which were not necessarily her own beliefs. 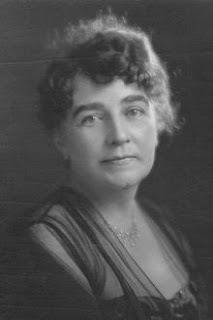 Statton-Porter was a pioneer for women in the movie industry, combining her fiction with film, as well as having her books translated into braille, foreign languages, and later, audio. have followed. Her historical western romance, Love Finds You in Sundance, WY, won the Will Rogers Excellence in Western Fiction award in 2012, and her first book in the four-book Love Blossoms in Oregon series, Blowing on Dandelions, hit the ECPA Best Seller list. 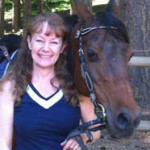 Since then she’s ventured into writing horse novels for middle-grade kids, and opened her own publishing company, Mountain Brook Ink, featuring Christian fiction. Miralee and her husband have been married over 40 years and live in the beautiful Columbia Gorge in WA State, where she loves to ride horses, garden, take walks, play with her dogs, and minister to women. Miralee Ferrell's newest novel releases March 1. 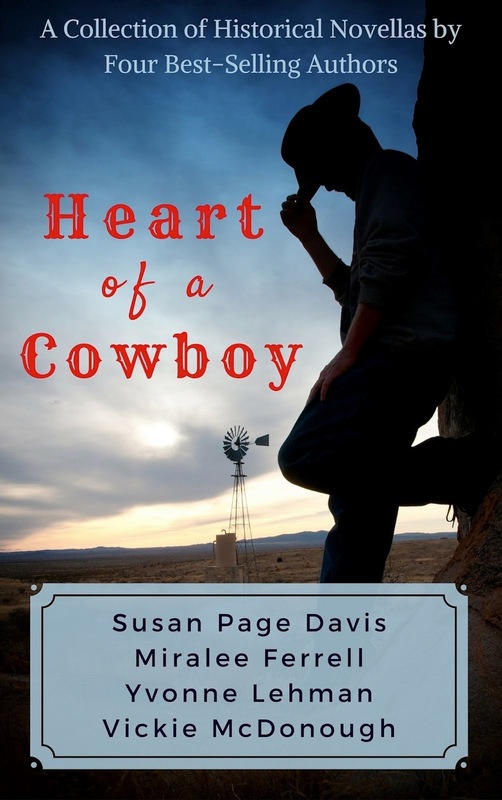 It's a historical novella called Reunited Hearts, in a collection of four novellas including ones by Susan Page Davis, Vickie McDonough, and Yvonne Lehman. You can find it on Barnes and Noble.com, Amazon.com, and more, in both print and ebook. Would you believe that I've never heard of that author? I wonder if she was more popular in your area. I'm glad you've found so many of her books since you like them so much. How many of them do you own? No, she had a nation-wide audience, and I"m guessing the people in the mid-west were even more of her fans, since most of the books take place in Indiana. I own all of the novels, but the bird and nature books are more rare and expensive, so I don't have those. I've never heard of her before, but I will certainly check out her books. They might be a good fit for my review sites. Just downloaded the collected works of fiction, 11 books, at Amazon.com for just 99 cents. Can't wait to start reading. Susan, that's awesome!!! Be sure you start with Freckles, then read Girl of the Limberlost and Freckles Comes Home. PLEASE let me know what you think of them!! Sharon, I read all the Cherry Ames (and have all or most of them as well). These books are a step up on age group--I'd say more for older teens and young adults or adults. You can get the full collection on Amazon (novels) for .99! Susan just found them there. I was attracted to this author as a young reader because my maiden name is Porter. I absolutely loved Freckles and Girl of the Limberlost and I also saw the movies. When I first began my job as a public librarian, these books were still in circulation but they have since been discarded because of infrequent checkouts. This broke my heart! Connie, I think some libraries still carry her books, but you're right...a lot took them out of circulation as they fell apart and would have had to be replaced, due to lack of use. So sad.